Autumn, colorful leaves lie on the ground. 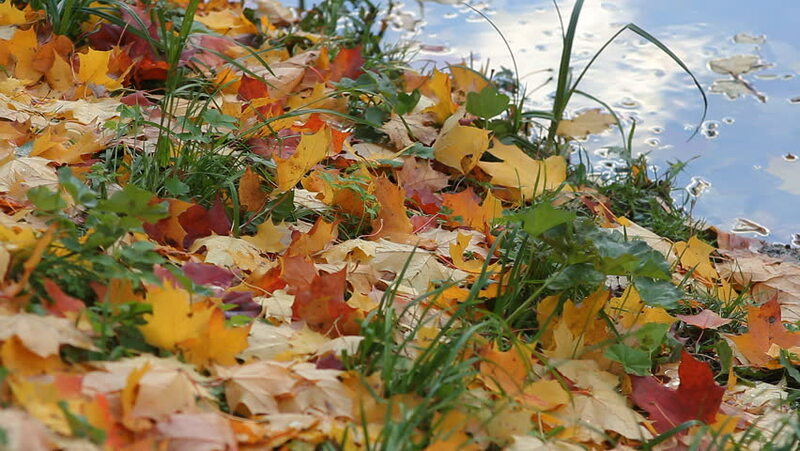 Leaf fall time - a carpet of red and yellow leaves on the bank of the river. 4k00:30Dazzling aerial view of Autumn colors in small town USA, Kaukauna Wisconsin. hd00:20Autumn leaves on the grass. Wind. 4k00:12Colorful autumn virginia creeper, wild grape background close up. Dynamic scene. Sunny day. Light breeze.